How many times did you spend an eternity looking for your lost keys? Those little devils are hard to find and losing them means getting into all kinds of trouble, such as breaking into your own house, taking a bus because of the locked car, and many others. You can surely remember a wide range of unpleasant situations caused by lost keys. That’s why many people are using key finders! Looking for your keys in the old-fashioned way of turning your room upside-down is not as nearly as efficient as a one-click movement that activates the Bluetooth finder. Truth to be told, key finders aren’t perfect devices. They can’t detect keys that are too far from the main unit and the connection can easily break. Nevertheless, they are quite useful and you’re better off with than without them. There are many key finders that actually provide great Bluetooth connection and make your life a lot easier. That’s why we made all our efforts to do a thorough market research in order for you to save more of your free time and came up with the list of 10 best key finders on the market. If you’re interested in these little devices, all you have to do is to follow our in-depth reviews and find the one that suits you perfectly! Tile Mate is one of the most popular key finders on the market. It easily attaches to your phone, keys, bags, or anything that you fear you might lose due to its size. All you need to do is check your smartphone to find your Tile or the other way around. It’s simple as that! Tile offers an incredibly compact key finder that measures 1.3 x 1.3 x 0.2 inches and weighs 0.16 ounces. The key finder will activate a loud sound from your phone after you double press it (88-decibel melody). The melody will continue to ring until you click the device and send a signal that you have found what you have been looking for. This is a very useful feature because you don’t have to click the button over and over again in order to keep the sound alive. The free Tile app will remember where your device was the last time, so you’ll always know where to look. You just need to let the application run in the background. Not to mention that you can always ask for help from the Tile community – over 5 million users of Tile key finders are connected to the network to provide help to each other. The device has a hole in its left upper angle that allows for easy attachment. Also, the key finder is water resistant and goes up to IP57 standards. The battery runs out in approximately 1 year. The case is sealed shut and the battery is welded in place so it’s not replaceable. The only issue that people have had with this device is the sharing option – when people allow someone else to access the tile’s location the signal becomes weaker. Along with a great device comes an excellent price tag. You’ll have a versatile stuff finder that you can attach on almost anything. People have had some issues with it, of course, because a small device like this certainly has its flaws and connection problems. However, Tile key finder proves to be useful regardless of its flaws and many people praise it for its efficiency. Click ‘n Dig offers 4 stylish receivers that are ideal for families that have to deal with misplaced stuff often. Being a parent isn’t an easy task, especially when you spend an eternity searching for your kids’ phones, tablets, toys, and other easy-to-lose things. That’s why Click ‘n Dig provides receivers for all family members! Along with 4 receivers, you’ll get an RF transmitter with 4 colored buttons. The transmitter has a newly designed antenna that provides better reception than the earlier models from this manufacturer. The receivers will alarm you if you press the transmitter from up to 60 feet away. The signal goes through walls, cushions, and glass, so you don’t have to worry that it will be less powerful if your keys are buried deep under the couch. You’ll need to replace batteries every once in a while, but that shouldn’t be so hard due to easy-access design that will allow you to make a replacement with just one turn of the screw. The only downside is a bit limited range – you’ll need to walk from room to room in order to trigger the receivers. The box contains extra batteries and thin double-sided adhesive tape that’s very useful for attaching receivers to all kinds of stuff. All receivers have flashing LED light that turns on simultaneously with a loud beep sound (up to 90 dB). Even if they don’t seem so durable because they are made of plastic, the truth is just the opposite. They are made to be sturdy and to endure any falls or bumps. Lastly, all 4 pieces are well designed, coming in all these different colors, so your family will just love them! Click ‘n Dig key finders are surprisingly well priced considering that the package contains 4 receives and a few additional things such as adhesive tape and extra batteries. Also, you’ll get a full 1-year warranty on the product, including batteries. If you were searching for multiple devices that will let you track your belongings, this set is one of the best that you can find for the money! People often use key finders to track their cats, dogs or turtles, which is genuine if you think about it! Esky key finders have just the proper design for this use – they are small and conveniently lightweight, so your pet won’t feel the device’s presence at all. You can also use them to find a wide range of other stuff, of course! You’ll find out that your life has become a lot easier since you have no issues with finding your keys, wallet, remote control and other small, and yet essential everyday stuff. 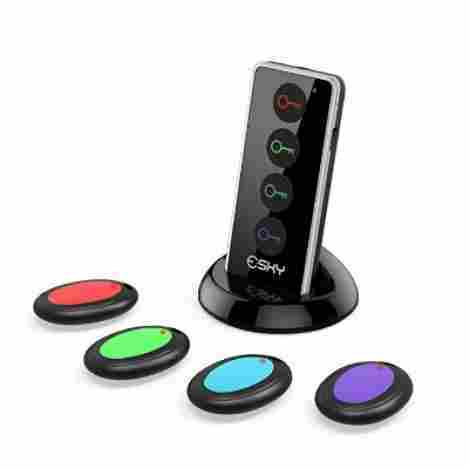 Esky offers a pack of 4 key finders and one transmitter with 4 differently colored buttons – you just need to press the button with the same color of the receiver and you’ll hear a beep sound that informs you about the location of your lost thing. The transmitter also has a LED light that provides better night visibility when you need to locate the buttons in the dark. The signal can go through walls, floors, cushions, leather and another type of materials without any problems, and it goes up to 100 ft. This key finder set is designed to last! The receivers are made to be lightweight and small so you can attach them to whatever you want. The only drawback is a flimsy design of the battery covers. It might take some effort to reach the batteries at all, and some users complained about damaging the covers because nothing really opens them. The set comes with an attractive price and the great customer service will provide any needed support if you run into issues with the device. Overall, you should be satisfied with this compactly designed device that can help you find little essentials known to be invisible for your normal vision! If you want a key finder that’s not associated with an app, KeyRinger is a perfect choice for you! The manufacturer offers a pair of key finders that are connected and work simultaneously so you can know your thing’s location in every given moment. They offer excellent signal and some great features that will make you love these little devices! This key finder has a surprisingly powerful signal that goes up to 300 ft. You’ll get a pair of key finders that work both simultaneously and individually. When you search for the lost thing the key finder beeps and flashes like a smoke detector, notifying you about its location. If you want to use this device without an app you can rely on the key finders themselves – they will call each other whenever they’re separated. However, if you do find that using an app is simpler, you can connect them to your phone, tablet or your computer. We should warn you that the KeyRinger app isn’t the best thing out there. Some people run into issues with it because of the delay in location information. The devices are made of polycarbonate plastic that is very durable. The material is also corrosion resistant. One key finder measures 2.6 x 1.1 x 0.4 inches and it weighs 0.64 ounces. You can see for yourself that this device is lightweight and compactly designed. The package includes two key finders with installed lithium batteries, key chain links, and double-sided adhesive strips. You just need to unpack the box and start using these little devices, no apps are required. Lastly, the battery lasts up to 18 months which relieves you from all the hassle with often battery replacements. This key finder is a bit expensive compared to other inexpensive sets that we had earlier on our list. However, KeyRinger offers great value for money! If you need a more powerful key finder so you can track that one important thing, this product is definitely the right choice for you. You’ll also get a 2-year warranty and the support of the great customer service. Here we have another product from Click ‘n Dig that deserves your attention! This time the manufacturer offers 2 key finders that will help you track all your little essentials. Due to its strong signal, you can use this key finder to find anything, no matter if it’s under the couch, under a pile of clothes or on the other side of a wall. Your everyday life will become so much easier with this little device! Like all other devices of this type, Click ‘n Dig key finder will beep when you press a button on the radio transmitter and notify you about its location. There are two buttons with two colors that represent a pair of key finders included in the box – you just need to press the color you want to find. The RF transmitter works great on 60-80 ft distance and the signal goes through walls, cushions, leather, and other materials. You’ll be able to hear a beep sound from receivers that are in the other room due to the sound of 90-105 dB. The key finders are made of sturdy and durable material. They are very small and lightweight, and yet you won’t have any problems if you accidentally drop them on a hard floor, for example. The package includes an additional set of batteries along with 2 key finders and a transmitter. You should be able to replace the batteries in a few seconds. However, you could run into some issues with the design of the button on the transmitter. You’ll need to click it and hold in order to find a receiver. If you stop pressing the button it will stop the beeping sound and you’ll be unable to find a receiver. The manufacturer should think of a way to resolve this because the all-time clicking is quite annoying. This product is a real deal! 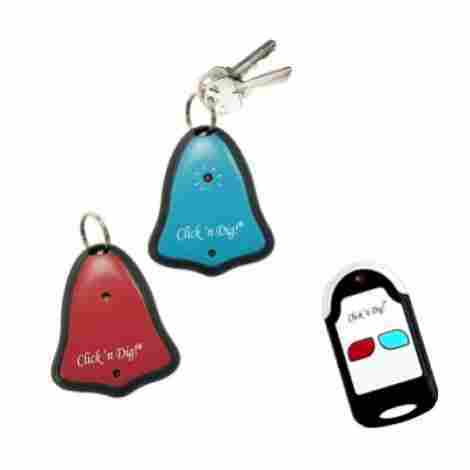 Click ‘n Dig key finders are among the cheapest products of this kind. They also come with a 1-year warranty, including the batteries. Magic fly offers a set of 4 receivers and a transmitter that will work for the entire family, or for one absent-minded individual. This colorful set comes with great features that will keep your essentials within a hands-reach on a daily basis. Keep reading if you want to find out all about this great wireless device from Magic fly! The transmitter offers a powerful signal that goes up to 100 ft. However, the receivers’ sound goes up to 80 dB which is not impressive at all. In fact, we can say that the lack of loud sound is quite annoying drawback. How can we hear it from a 100 ft if we can’t properly hear it from a near distance? This should seriously be improved! Other than that, you won’t run into any particular issue with this product. If you intend to use it in your house, you won’t be bothered too much with the lack of loud sound. 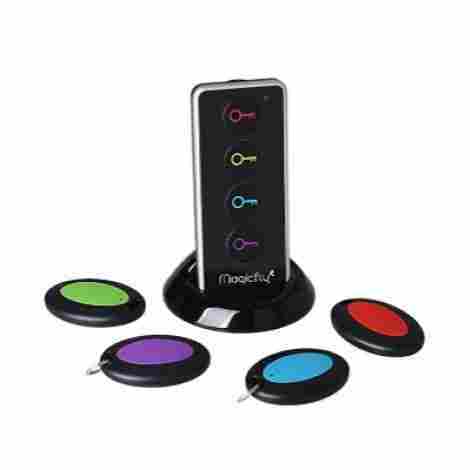 The transmitter has four differently colored buttons that allow you to call each one of the receivers separately. You should only press the specific button once and the beep sound will notify you about the receiver’s location. The transmitter has a LED light that will help you not only to push the buttons in the dark but to find your lost things without turning the light on. You can easily turn on and turn off this feature by using the button located on one side of the transmitter. If you need a set of key finders that you can give as a present to your family, or to yourself for that matter, Magic fly offers a quite powerful little device. You’ll get a cheery designed 4 receivers, but the price is a bit high. However, if you do have a few extra bucks this key finder will prove to be very useful! Here we have another stylish Tile product that will help you find your items such as phone, keys, wallet or remote control. The Pro model has an improved design compared to other similar products from this manufacturer and it offers more useful features. If you’re interested in a smart device that will keep your stuff together, keep reading our review for more information about Tile Pro! This device has a great signal range of 300 ft. This is more than most key finders have and allows you to use it at the airport to find lost luggage or to find something you dropped in the street. Using Tile Pro key finder is quite easy, you just need to tap the button on your phone to make the device ring when you don’t know where it is. You’ll find it in a few seconds thanks to the annoying and useful beep sound. On the other hand, if you have the device in front of you but you can’t find your phone, just double press the Tile button and your phone will ring even when it’s on the silent option. The only thing you won’t like so much is the location of the button – it might happen that you press it accidentally. Tile Pro key finder is compactly designed and it easily attaches to any key chain, phone, or other important essentials. There’s the Google assistant that will help you find your lost things if you like as well as the Tile community – users around the world are connected by this app to help each other in finding the important stuff. The device runs on a battery that lasts around a year (you’ll get a warranty). You’ll be able to easily replace it on your own. Each receiver measure 0.3 x 1.6 x 1.6 inches and weighs 0.48 ounces. They are meant to last, even if they seem a bit fragile in the first sight! Even considering the powerful signal of Tile Pro we have to admit that it comes with a high price. You’ll get great value undoubtedly, but you’ll have to spend a few more bucks to get only a pair of Tile devices. 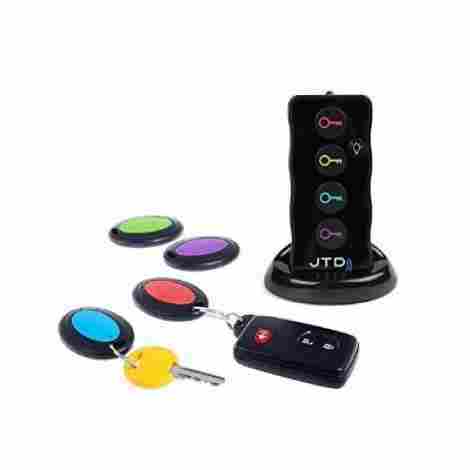 If you’re searching for an electronic device that will help you find lost keys, remotes, purses, glasses and other essentials, JTD key finder might be the right choice for you! You can use the 4 included receivers to attach them to different things or you can give this great present to your family so you can all enjoy its benefits. Either way, JTD key finder proves to be a useful and powerful little device for forgetful people! As we already mentioned, the package includes 4 receivers and a transmitter that have a signal range within 75-130 ft. The loud beeping sound will inform you about the location of your belongings as well as a flashlight located on every receiver. This is especially useful when searching for your lost things in the dark – we all know how often this happens! The signal easily goes through walls and various kinds of materials. There are 4 different colors on the transmitter for 4 differently colored receivers, you just need to push the right button and you’ll find a specific receiver! Keep in mind that some users complained about this key finder not being as loud as it should be. It’s not a general complaint so it might turn out just loud enough for you. These stylish receivers are lightweight so you won’t even feel that they are there. You can attach them to almost anything due to their compact design. The transmitter is intuitive and user-friendly – along with colored buttons there’s also a button that controls the flashlight. The battery cover works on a simple on/off position that allows you to easily change the expired battery. However, this easy installation has its drawback because it happens that the cover just slips from the unit. JTD key finder is reasonably priced and it provides excellent value! You’ll also get a 1-year warranty and the possibility of contacting excellent customer service. If you’re searching for a set of several receivers that are connected by powerful signal yet well-priced, you have just found it! Here we have another Tile key finder that deserves your close attention! This little device offers some great features that will help you find your lost things in every given moment. You will save a lot of time using Tile Sport key finder – just think about the lost 5 to 10 minutes of every day that you could save using this device! 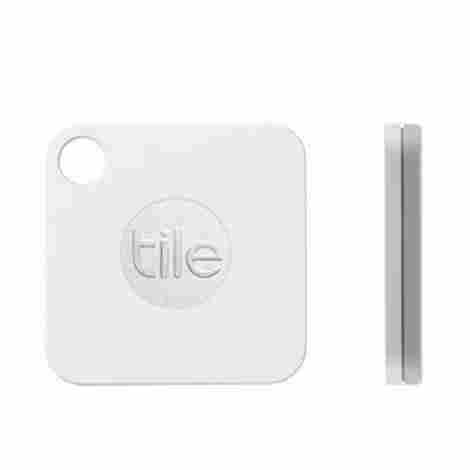 Just like all other Tile key finders this device works by being connected to the phone. You can either use your phone to find the device or you can use the device to find your phone. It works both ways! 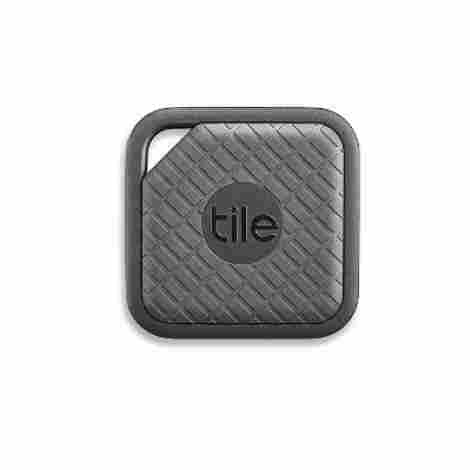 Tile Sport offers Google assistant and Tile community that provide help in finding your lost little treasures. It has a 200 ft range and it notifies you about its location using a very loud beeping sound. 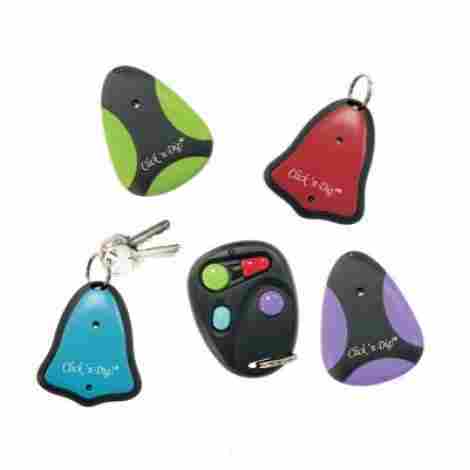 Tile Sport key finder comes with stylish design and sturdy material. It’s also waterproof (IP68) which adds to the durability of the device. The compact design allows you to put them and hang them wherever you want! Not to mention the sleek and user-friendly design. The only thing that will bother you is short battery life. The manufacturer should work on improving this in the future, especially because we expect that a high-priced product will at least have all essential features at their best. 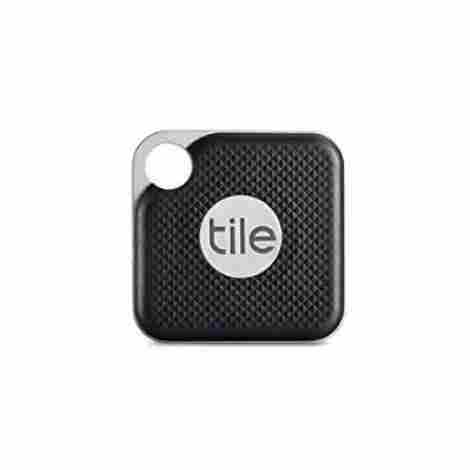 Tile Sport is a valuable product that will help you find your lost things. It has a decent signal power and performs everything with great accuracy. However, considering that you get only 1 receiver for the money, we have to say that this Tile model is quite expensive! Cube Tracker comes like a little stylish pendant that will help you keep track of your things in every given moment. Although Cube Tracker is designed primarily for keys, bag and luggage zippers, and other similar stuff, you can use it for anything that allows easy attachment. Overall, the device is quite popular on the market and you’ll love it for its versatile features! Cube Tracker is easy to use, you just need to call it using your phone app, or find your phone by tapping the button on the key finder. There’s also a Cube Community that will provide help in finding your things if you can’t do it on your own. The Cube app shows last known location on the map and uses Bluetooth to notify you if you’re near or far of the key tracker. The device itself releases a loud beep sound and the phone rings, vibrates, and flashes even if the app is not running. We should mention that many users have problems with the application when they were using the key finder to find a phone. It seems that there’s some issue with a reliable connection that is not yet resolved. Cube Tracker is stylish and compactly designed – it measures 1.5 x 0.2 x 1.5 inches and weighs 0.32 ounces. It has durable material that’s also waterproof. You don’t need to worry about dropping it into water or snow, but we don’t recommend intentional testing of this feature. Unlike other key finders, Cube tracker offers easy battery replacement. The package includes an extra battery that you can replace all by yourself at the end of one year when the old one dies. Lastly, the key finder has one nice feature – it can be used as a shutter button for your phone camera. It’s not an essential feature but it’s fun! You’ll have to spend some extra money if you want to have this stylish little device. The price would be great if the package includes more essentials and not only extra batteries. 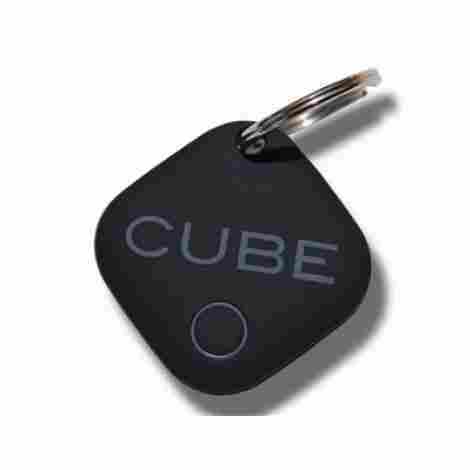 However, considering that you only get one receiver, Cube Tracker is one of the priciest key finders on the market! One of the most important things about every key finder is the ability to produce a powerful signal. Devices that have a large power range are on the top of our list. Of course, there are some key finders on the bottom of our list that also have great power range but they lack other essential features. Therefore, we had to look for overall quality rather than to observe all the features separately. For example, a large signal range doesn’t mean much if the device produces low sound. What is the use of 300 ft range when you can’t hear the device that’s on the 50 ft distance? We say additional features but all of them are essential for a key finder to work. For example, one of the important things we took into account while evaluating the products was the app quality. Key finders that you get to control using your phone have to offer a user-friendly app that won’t have any connection problems. We shouldn’t forget the design of every key finder because it allows you to easily change batteries, click buttons and find your lost things. The LED light is an especially useful feature as well as long battery life. Overall, we had to consider every possible thing that influences the quality of every key finder and then rank them according to their performance. Lastly, we took into account the overall quality of every key finder on our list and compared it to their price. Key finders are useful little things but paying too much for them often seems the unrealistic thing to ask. Even if you do spend a few extra bucks on them, it’s important to know that you’ll get a valuable product with a long lifespan! That’s why the price of every product was very important in the evaluation of the best key finders. You might have found your favorite key finder on our list by now, but you should be patient just a few more moments. Before you make the final decision and go forward with the purchase, you should consider some additional factors. Do you plan to use your key finder to track your cat or your dog? Or you plan to use it only for keys and remote controls? The main purpose will determine the signal power that you need. You’re the one that best knows your personal habits and needs. If your keys, remote controls, and other little things often get stuck under the couch or many layers of materials, you’ll need something powerful enough to emit a sound loud enough for you to hear it. The same applies to walls, glass, and far distances. Knowing your personal needs means knowing how much power you need from a key finder. If you only need a device that will track your keys you can easily go with one or two receivers. However, there are some great offers on the market, and almost every manufacturer gives you the ability to choose a pack of 2, 4 or 6 key finders. These options really pay off because the most expensive deal is buying one key finder. If you need a finder that will be powerful enough to track one particularly important thing, you should go with one great key finder. In all other cases, you should at least look for a pair. Last but not least, think about the additional features that your device has to have and the ones that you don’t need. For example, many people don’t need too loud key finder because they live in apartments or houses where everything is easily found. On the other hand, those who live in big houses have a hard time finding their lost things because of the thick walls and piles of other stuff, so they need a loud device that can be heard with great ease. Also, people love to have a phone app that connects the phone to their key finder, but some of the users get quite annoyed if they don’t have another option. Therefore, you should think about things that you really need and the ones that are not so important to you and then deciding for the best key finder. Q: What are key finders? A: Key finders are useful little devices that people use to find not only keys, as the name itself says, but phones, wallets, bags, luggage, and many other things. They should reduce the time you usually spend on finding your essential lost around your house, office or even on larger spaces. They work via Bluetooth connection – you just need to use a phone app or another transmitter when the app isn’t necessary and track the receiver. 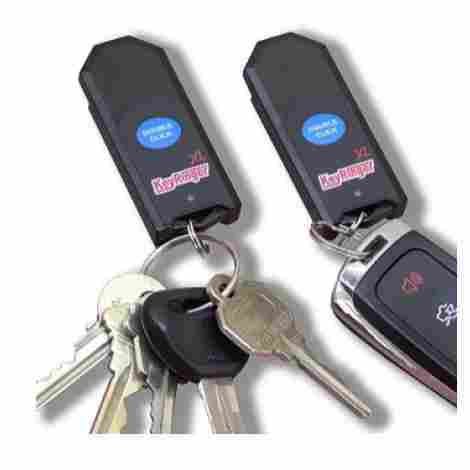 A key finder will let you know about its location by emitting a persistent beeping sound. Q: Can I use a key finder for long distances? A: Well, it depends on the device itself. Some key finders are designed to produce a powerful signal that can go through different types of materials and work on longer distances. However, you shouldn’t expect too much power from the little device like key finder. The compact design allows you to attach the device wherever you want, but small dimensions don’t leave room for powerful technology. If you want something better than regular key finders you should consider using a GPS locator. Q: Can I use a key finder to track my pet? A: Technically, you can use this device to track your pet’s movement around the neighborhood. As a matter of fact, many people use it this way and attach it to cats’ or dogs’ collars as well as their turtles. However, don’t expect too much from this device when it comes to locating animals. They move fast and they easily get out of the signal range so you could easily lose them. Don’t get us wrong, key finders can be useful and better something than nothing after all. Just don’t expect too much from them in order to avoid disappointment.